West Loch Tarbert was once a fruitful fishing area but a lot of the popular species disappeared.  However, in the past couple of years so, hope has been renewed that the fish is returning. The pictures below, show a couple of large skate, which lead us to think that some of the other fish historically caught in the region, may be making a comeback. Geoff and a fish, estimated at 160 Lbs in weight. This was caught, just 200 metres from our front door. Gordon and his cracker, estimated at 187 lbs in weight. 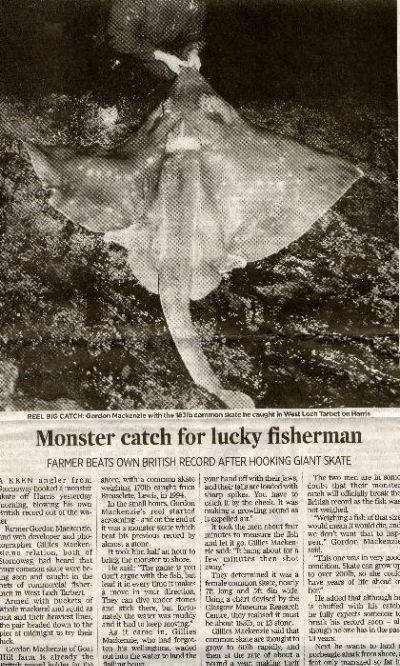 This would be a British record for a shore caught skate but weighing the beast would have killed it, so Gordon was happy just to record the fact with the camera. 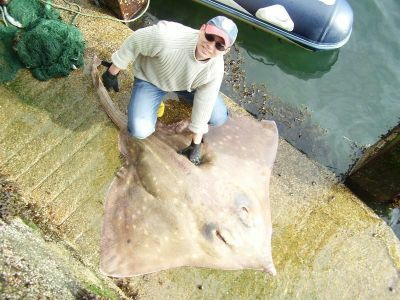 WHAT is believed to be the largest common skate landed in Britain has been caught in West Loch Tarbert. The monster skate, which weighed in at an almighty 225lbs, was landed by Steven Morrison of Tarbert after a marathon 50 minute battle. The fish is thought to be an unofficial record, beating the previous unofficial record by 21lbs.